Purchase directly from this website. Go to BUY DVD. The Catholic Truth Society (CTS) is co-ordinating parish screenings throughout the UK. Go to: cts-online.org.uk to purchase your public screening pack. Home-viewing copies are also available at St. Paul’s bookshops and VERITAS stores. To organise a screening of The 13th Day in a cinema, please CONTACT US directly for further information. You can see The 13th Day in cinemas NOW in the Philippines at Ayala cinemas and SM cinemas. Look out for local listings. 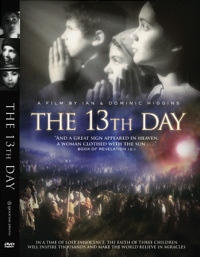 The 13th Day will be available to buy on DVD in the Philippines in the New Year. Go to noahsarkcreations.com to buy your copy of the DVD in Singapore, Malaysia and Brunei. Noah’s Ark are also co-ordinating parish screenings. The Portuguese version of The 13th Day is available to purchase directly from Paulus Editora online (paulus.pt), and in Paulus stores. 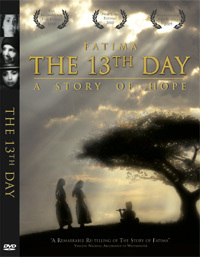 You can purchase The 13th Day from Ignatius Press. 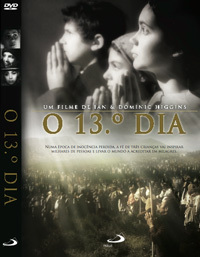 Please go to: 13thdayusa.com for further information and to BUY the DVD. The US version is available with Spanish and Portuguese subtitles. ALL OTHER COUNTRIES – you can buy directly from this site. Go to BUY DVD. ← We are reaching out to the WORLD!!! !